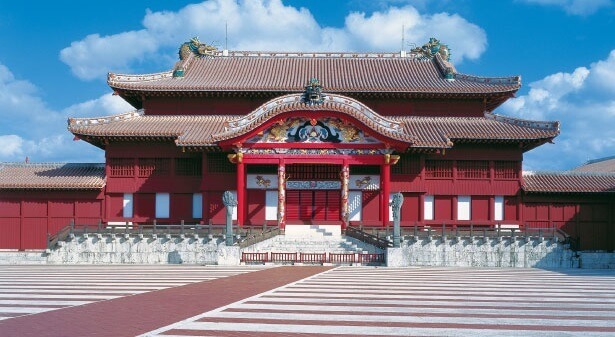 Okinawa is located near most southern part of Japan. 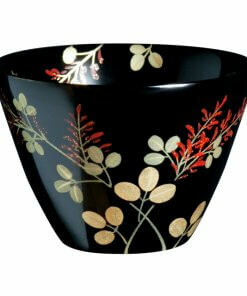 Ryukyu lacquerware is made in Okinawa; the place is called “Ryukyu” in the past. 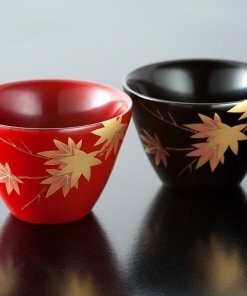 Taking advantage of its location, people in Okinawa imported lacquer making techniques handed from China (which is closer than the main land of Japan) and improved to make their original lacquerware, which became to be called “Ryukyu lacquerware”. 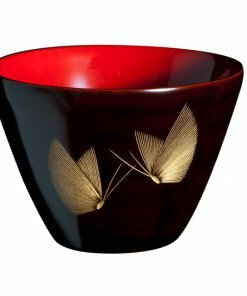 A feature of Ryukyu lacquerware is its uniqueness of decorations. 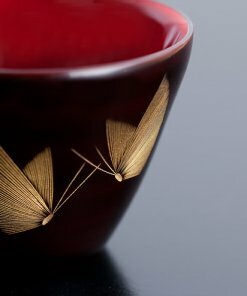 “Tsuikin” technique, for example, is to express three-dimensional decoration on a lacquer surface. 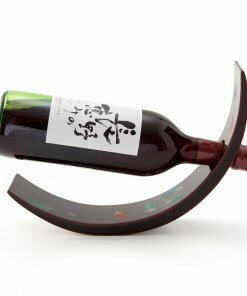 This unique method cannot be found in other areas of Japan. 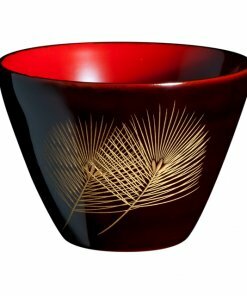 Nowadays, such uniqueness and artistic expression of Ryukyu lacquerware make a reputation in the world. 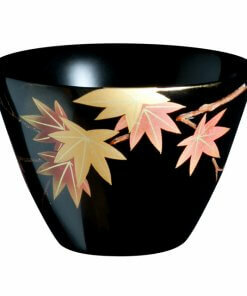 Base of this Sake cup is made completely same as the one presented to Ise Shrine for their god. 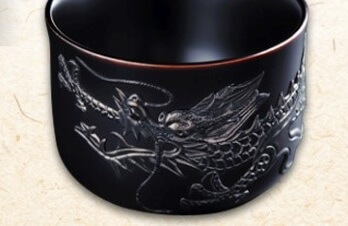 On the surface of it, three-dimensional dragon is engraved by Tsuikin technique. You may see the decoration really three-dimensional and unevenness, but it is very smooth in reality. 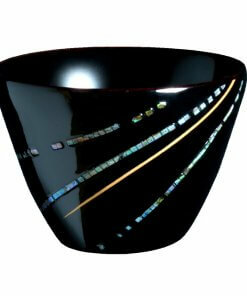 The smooth surface and well-balanced shape fit your palm very well when you hold it. 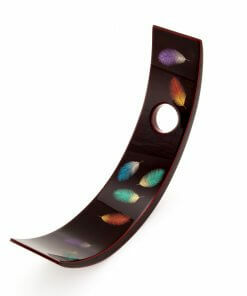 Its rim seems slightly red because the under coating is made with red-colored lacquer. 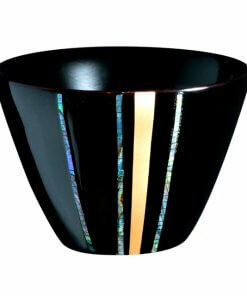 Black lacquer is pasted on top of it, followed by polish a part of surface to expose under coating. 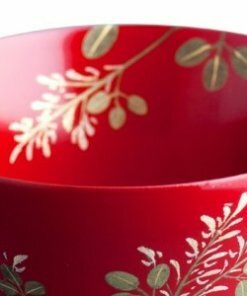 Final polishing is made in mat taste, so you’ll feel like moisturized and warm feeling when you touch; it’s a soft feeling totally unlike solid pottery, glass and plastics. Tsuikin technique takes time and efforts. Even an experienced craftsman can complete five at most in a single day. In addition, it takes 4-6 months to dry after the decoration. 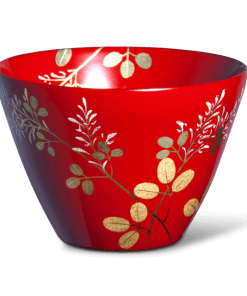 Therefore, this Sake cup cannot mass produce and stock was highly limited. 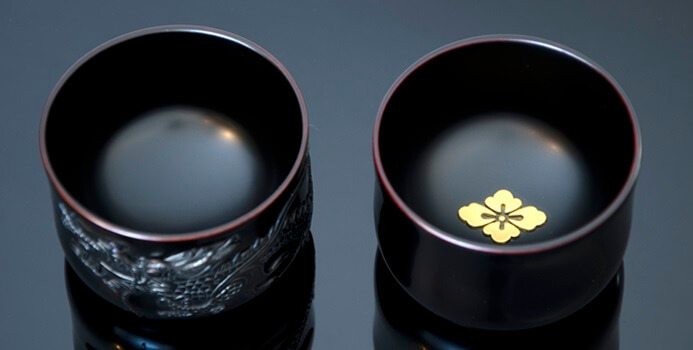 When the Sake cup was in the market, its price was 30,000 JPY (approx. $275/€250). 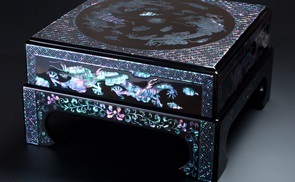 Raden is a decoration technique in which shiny shell are cut out and paste on lacquer or wood surface. 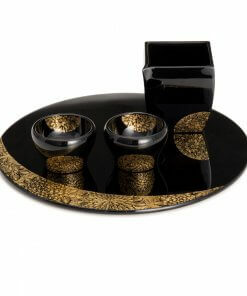 Traditionally, people in Ryukyu area have been pious and valued decorated lacquerware for religious reasons. 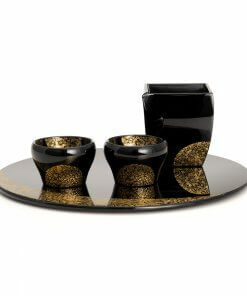 In important religious ceremonies, participants have put on necklace and used tableware coated with lacquer. 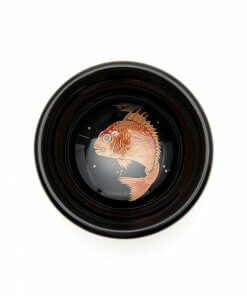 Therefore, this kind of decoration technique on lacquerware have well developed. 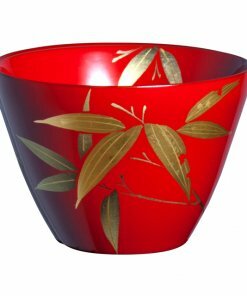 A reason why lacquerware making became this big in Okinawa, a relatively small island far from Japan’s main land, is its environment. 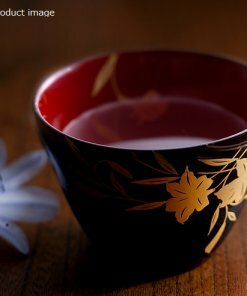 First of all, there are fine wood materials produced in Okinawa by which people could tackle with wood crafts from the beginning. 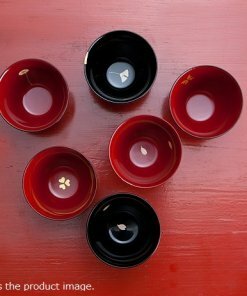 In addition, the climate in Okinawa was perfect for lacquerware making; average temperature is 22.4 degrees Celsius (mildly warm) and average humidity of 77%. 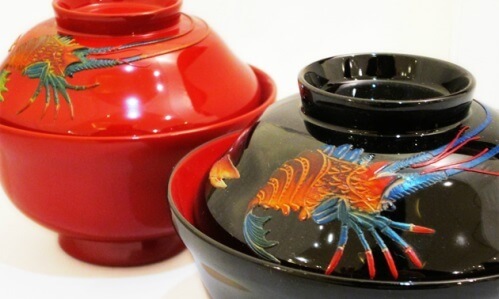 Under these conditions, good lacquerware have been produced since such techniques were handed from China continent. 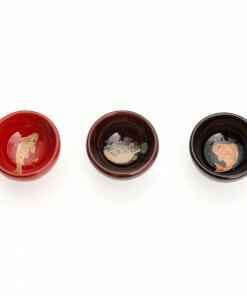 Thus, there were good conditions for lacquerware making in Okinawa. 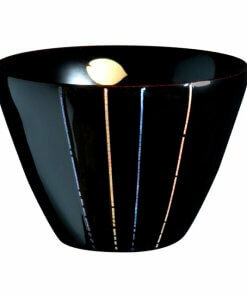 Until now, experienced craftsmen have produced excellent quality Ryukyu lacquerware. Especially Tuikin three-dimensional technique is worth seeing. Find it when you visit Oknawa!